It's a lesson Serena Williams learned yesterday after Venus appeared to accidentally announce the gender of her unborn baby. 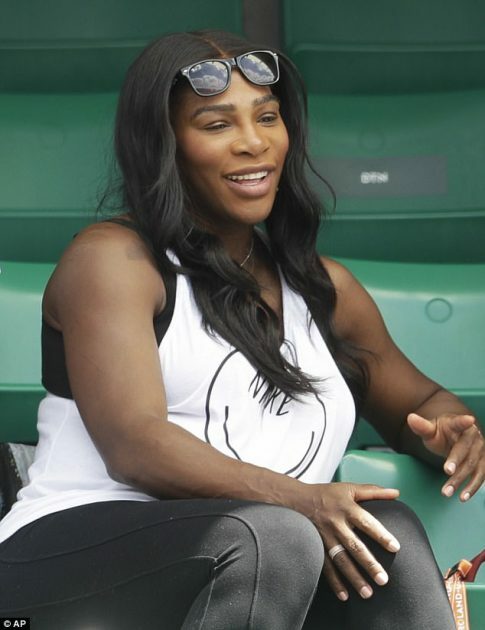 Serena, the world No.1 tennis player, had watched Venus win a second round at the French Open yesterday before Venus made the slip-up during a post-match interview, and confirmed that her sister was expecting a girl. In April, Serena admitted that she announced her pregnancy over Snapchat by accident. She uploaded a picture to the social media platform of her bump and captioned it “20 weeks”. She had meant to save it for her personal use, but accidentally broadcast it to the world. Serena deleted it after realising her mistake, but not before her followers could screenshot and share it. Serena became engaged to Alexis Ohanian, co-founder of the chatroom Reddit, in December last year after quietly dating for 15 months. This will be their first child. Serena responded saying she was disappointed that “we live in a society where people like Ilie Nastase can make such racists comments”.